An oasis of tranquillity set in a breathtakingly beautiful landscape. Far removed from the crowds and noise of Cyprus's main resort areas. Yet within easy reach of some of the island's best beaches, restaurants and wineries. This is the fabled Akamas peninsula, Cyprus's hidden gem. Said to be the location of the Goddess Aphrodite's private bathing pool and named after the son of Trojan Wars hero Theseus, the Akamas region is Cyprus at its unspoilt best. 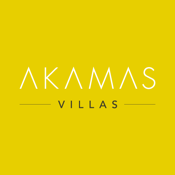 Akamas Villas is proud to present some stunning additions to the region's luxury holiday rental market. Designed, furnished and landscaped to the highest standards, our villas offer superbly appointed and meticulously managed holiday rental accommodation.